AirForce CEO John McCaslin Represents Airgun Hunters at Parks And Wildlife Hearing on August 23. For Big Game, Turkey, and Alligator – .30 caliber minimum shooting either a minimum of 150 grain bullet at 800 fps at the muzzle or any combination of projectile weight and speed that produces at least 215 foot/pounds of energy at the muzzle. For Furbearers – A Minimum of .30 caliber is required. A complete explanation of TPWD’s new regulations can be found at: https://tpwd.texas.gov/regulations/outdoor-annual/hunting/air-gun-arrow-gun-regulations. Texas now officially joins the growing list of states to allow AirForce’s Texan rifles to be used during hunting season. Tennessee, Michigan, Arizona, Florida, Alabama, Arkansas, Missouri, Kentucky, and Virginia all currently allow Texan rifles to be used for big game hunting. The Texan has also been popular for taking non-game animals and predators, such as feral hogs and coyotes, in multiple states, including Texas. The AirForce Airguns family of Texan big bore, pre-charged pneumatic (PCP) air rifles have consistently set the standard for power and accuracy. The Texan in .457 caliber is currently the most powerful production air rifle available on the market, producing over 500-foot pounds of muzzle energy. The Texan line of air rifles in .30, .35, and .457 all exceed the new TPWD requirements for big game hunting and are available now at retailers nationwide. Established in 1998, AirForce Airguns was the first company to mass produce high quality PCP air rifles in the United States. Every AirForce rifle features a German made Lothar Walther match grade barrel with all other components being manufactured and assembled in their Ft. Worth, Texas based manufacturing facility. AirForce Airguns, a founding member of the Airgun Sporting Association, continues to work to educate legislators and regulators about airguns on a local, state, and national level. Serious airgunning starts at AirForce Airguns. 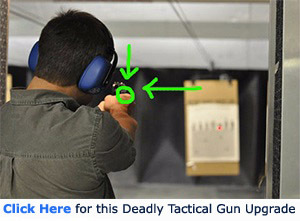 For more information, visit www.airforceairguns.com. We have been taking game with small and big bore air rifles since I was small. For over 40 years I have been using my .177 Crossman Pump to take squirrels and Turkey. There is no differentiation of propellant between compressed air, black powder, or smokeless powder – just as long as the game is taken cleanly and quickly here in Alabama.